In yesterday’s instalment, we loved the Ricoh, Panasonic and Lumix. 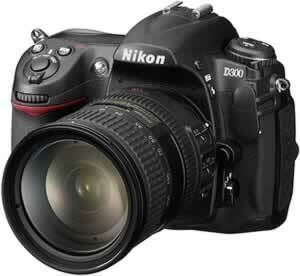 Read on for our conclusion today of the best high-end digital compact cameras. 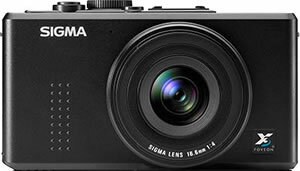 A camera that seemed to promise the perfect way forward when it was announced last year was the Sigma DP1. This fella had the clean, simple looks of the Ricoh GR with the same fixed 28mm lens but crucially packed a full size SLR sensor inside. Despite class leading picture quality, the Sigma was annoyingly riddled with frustrating gotchas including slow focusing, painfully tardy shutter lag and a troublesome interface. The Sigma DP2 has recently been announced as its successor, but reviews are still to filter through. Despite the mighty fine qualities of the above cameras – they’re all capable of outstanding results – none of them have managed to provide the mix of features we need for our perfect street shooting digicam star. What we’re looking for is a camera that gets our mojo working with a large sensor, non-whirring-out lens (preferably interchangeable so we can upgrade later), fast start up time, large LCD screen and a bright viewfinder offering exposure information in a compact, unobtrusive and reasonably tough package. Preferably with a flip out Live View LCD screen. It’s not exactly what we’re looking for – yet – but Panasonic’s Micro Four Thirds system looks like it could be on track to offer something very close to what we’ve been lusting for. Described as “without doubt the most exciting digital photography announcement this year” by dpreview.com, the Micro Four Thirds standard uses a large SLR-sized sensor (18 x 13.5 mm) while reducing body size down substantially by replacing the reflex mirror of SLRs with a Live View monitor, viewed through a LCD monitor or an EVF. 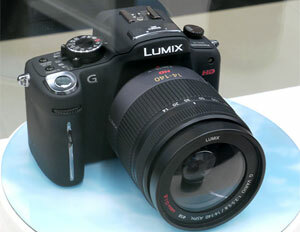 The first camera to use the system, the Panasonic Lumix G1, served up a compelling mix of features in a very compact, SLR-like package including a 12.1 megapixel Live MOS Sensor, Optical image stabilisation, intelligent ISO, AF tracking, face detection and intelligent scene selector with Venus Engine HD image processing and a Supersonic Wave Filter dust reduction system – packed into a camera body measuring just 124 x 84 x 45 mm. Early reports say that the camera handles well and that – crucially – the electronic viewfinder offers high quality viewing, which is even good enough for macro shooting. That all sounds pretty damn good to us, and if the package performs as well as it looks, we may well consider dumping our current fantastic but devilishly bulky Nikon D300 SLR gear for a Micro Four Thirds camera in the future. Mini-me SLRs are one thing of course, but this article is all about looking for the perfect digital compact and it looks like the new standard may well finally come up with the goods. Olympus recently announced that it intends to build a compact Micro Four Thirds compact camera, with a prototype photo revealing an old-school styles snapper in development. If Olympus do indeed pull a camera like this out of the bag and it comes with full manual options, then they may well have solved our fifteen year quest for the perfect digital compact – which would be rather fitting seeing as they’re the company that made the XA we loved so much in the first place.